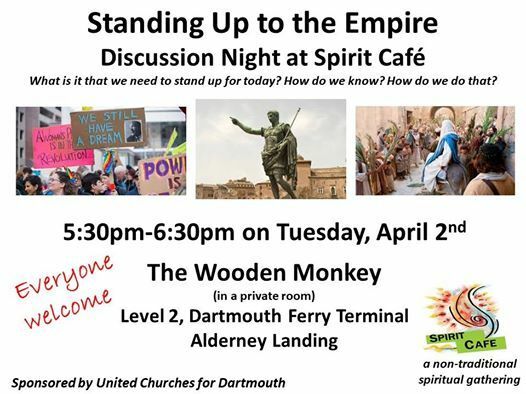 Tonight's discussion topic is "Standing Up to Empire". In the original stories, the Palm Sunday crowds became part of Jesus' symbolic action against the religious and political structures that were keeping people down. What is it that we need to stand up to today? How do we know? How do we do that? 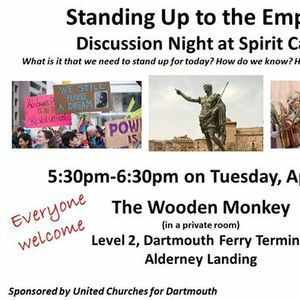 Join us for a discussion of the spirituality and process of protest. We gather, order if we want, discuss, eat, discuss and finish at 6:30pm. 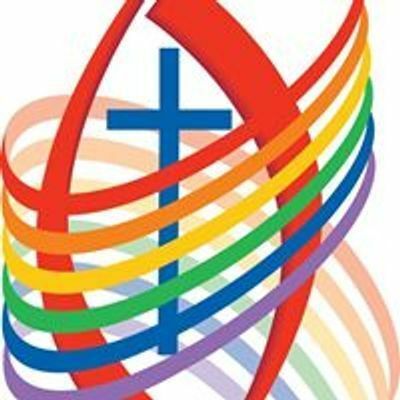 Facilitators this month - Rev. Sarah Reaburn.